The Greenwood County Sheriff’s Office is taking applications for the position of Deputy Sheriff. 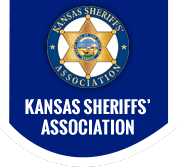 Deputies work directly with the public by responding to calls, taking reports (criminal offenses and traffic accidents), performing building checks, educating the public in how to prevent crime, enforcing Kansas criminal and traffic laws, serving civil process, serving arrest warrants, and various other services. Applicants must be 21 years of age or older, possess a valid driver’s license, possess a high school diploma, must have a felony-free criminal record, and must not have any domestic violence convictions. Applicants must be able to legally possess a firearm to carry out duties needed to perform this job. Applicants must be able to do shift work. Uniforms, training, and necessary equipment are paid for by the Sheriff’s Office. Benefits include KPERS, health insurance options, dental insurance options, vision insurance options, earned sick leave, earned vacation leave, and a take-home vehicle. KLETC certification is preferred, but not required. Applications can be picked up and submitted at the Greenwood County Sheriff’s Office or email rcox@greenwoodcountysheriff.org to receive application by email.